You may have seen this brand popping up in Superdrug stores recently. I knew the moment I first saw it that I had to try something from the range! I was very fortunate to receive a couple of samples to review, which, I’ll be honest, was great as I’m often hesitant to fork out for products from a new brand just in case I’m disappointed. 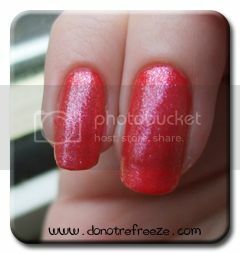 In this post I’ll be showing you the Flip Flop French duo in Ruby. It’s really refreshing to see a well priced, accessible range of nailcare that covers everything from the basics of files, buffers and cuticle care to these fun French duos and nail stickers. I know that you American lasses have such a huge amount of nail products in comparison to what we do over here, so to have a range like this in Superdrug is fantastic! Although possibly my favourite thing about the brand is that it’s bright and fun! I don’t know if it’s just me, but the polish world seems to have been inundated with dusky taupes and muted hues this year and whilst I do like a subdued nail look every now and again, it’s great to see and use this fun range instead. The Flip Flop French duos come with a double ended polish and a sheet of tip guide stickers. I usually go freehand if I’m painting my tips, but thought ‘when in Rome’! They don’t just have the traditional curved tip stickers either, there’s also a curved chevron shape and a straight chevron shape for if you fancy modernising your tips even more. The tip colour for the Ruby duo is a glorious opaque red… wait, red tips? I’m not gonna lie, if you’d have said to me ‘why don’t you do a twist on a French manicure with red tips and a sheer pink glitter overcoat?’, I would have told you to kiss it. That just doesn’t sound like something I’d like, but I was pleasantly surprised by the results. I actually did a slightly bad job with the tip stickers ’cause I’m not used to using them, and my tips are naturally wonky shapes so you can see a bit of white showing through on a couple of nails. I think I’ll stick to freehand next time! And I know you can see the foul yellow staining of my nails beneath the sheer colour… but never mind. I love how beautiful the shimmer of the sheer coat is, it just doesn’t photo as nicely as I’d have hoped! 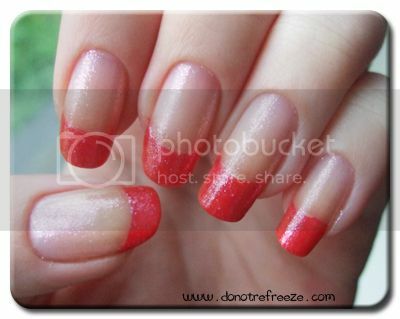 On my other hand, I decided to try out painting the whole nail with the red tip colour and adding a coat of the sheer pink just for fun. It was actually stunning! Sorry for my lumpy ring finger here, that’s the one I broke when I was young and it’s been a bit malformed since! I was dreading taking this off, though, as you know I HATE removing glitters. But this actually came off as easily as any normal polish, I guess because the glitter is so fine. I actually really enjoyed this product and might even pick up another one or two of the other colours. I also tried out the Gloss Up Overcoat, but sadly didn’t love it. It certainly was very glossy, but just too slow drying for my needs. I need a topcoat that dries in a few minutes flat. The range also has a product called ‘Oops! Varnish Clean Up’ which is pretty much just acetone (plus a couple of other chemicals) in a polish bottle, for cleaning up mistakes. At £4.99, it’s cheaper and more effective to just buy pure acetone which also gets polish slip-ups off of the skin. The Oops! works fine to fix mistakes on the actual nail surface, but just makes any polish on the skin bleed and stain. I’d probably give that one a miss, but I definitely covet the Flip Flop French duos! I plan to buy the Nail Trios next, designed for layering. 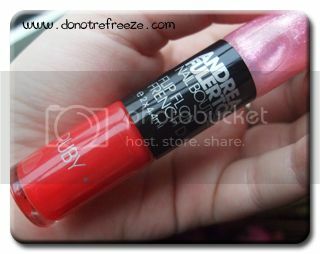 Andrea Fulerton Nail Boutique is available in most larger Superdrugs, and the Flip Flop French duos cost £7.99. Not bad for two colours of nail polish and a generous sheet of tip guides! The whole range is definitely affordable, nothing costs more than the price of these, in fact most of the range is under £5. Have you tried anything from AFNB? Have you seen it in Superdrug and had it catch your eye? Tell me! P.S. For more Andrea Fulerton goodness, check out Carly’s chain nails – super hot!